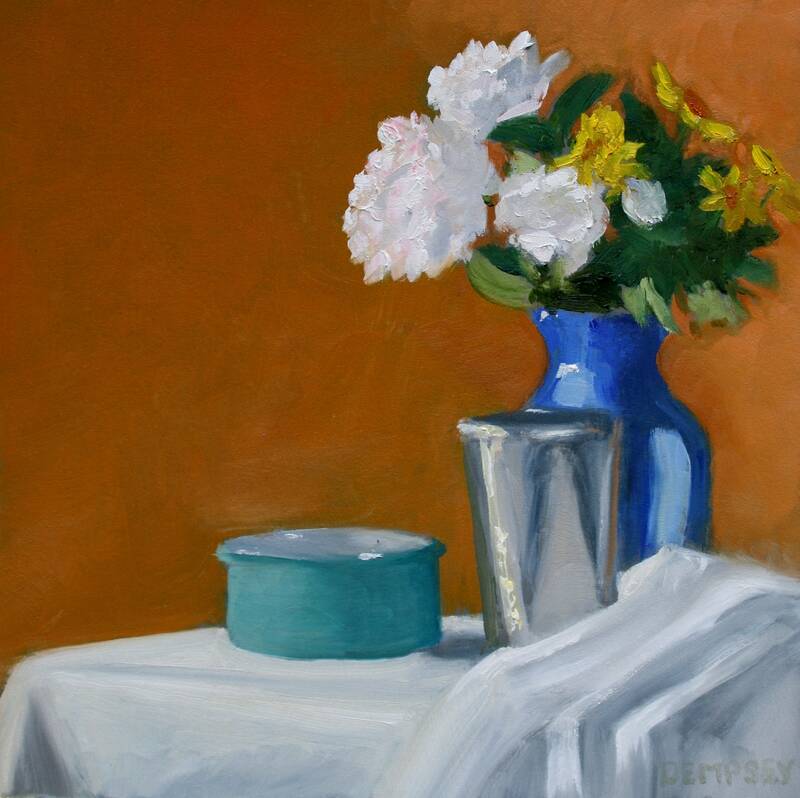 A Still Life of a silver cup, blue vase with flowers, and a bowl. Not sure what else to say about it, other than that I like how the background color compliments the vase so nicely. The painting is ten inches wide by ten inches tall. It is an oil on board. It is Alla Prima.